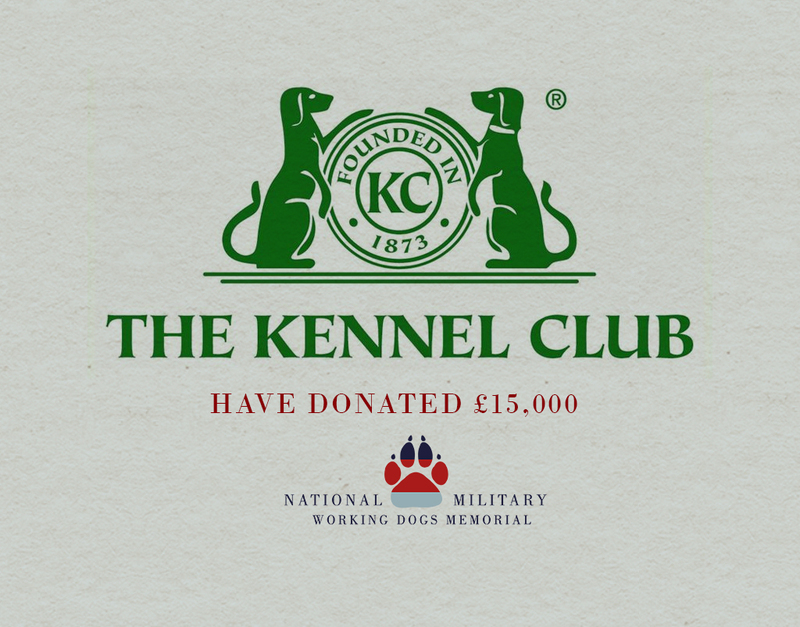 Having featured in September’s edition of the popular Kennel Club Gazette, we are delighted to announce the support from The Kennel Club themselves who have donated £15,000 to the National Military Working Dogs Memorial Charity. In addition to this, The Kennel Club have invited us exhibit in Crufts 2019 which takes place in March next year. This means that we will be able to attend the biggest dog event in the UK to raise awareness for the NMWDM as well as raise money! Of course, there is a history between NMWDM and The Kennel Club as Michael Barrow and Buster won their Friends for Life competition in 2012. “We want to say a huge thank you to The Kennel Club for their support and very generous donation which brings the memorial much closer to completion. We will be honouring this in our Memorial Wall of Gratitude”, says Iain Henderson, NMWDM (UK) Trustee.